They went back… back to the beginning. 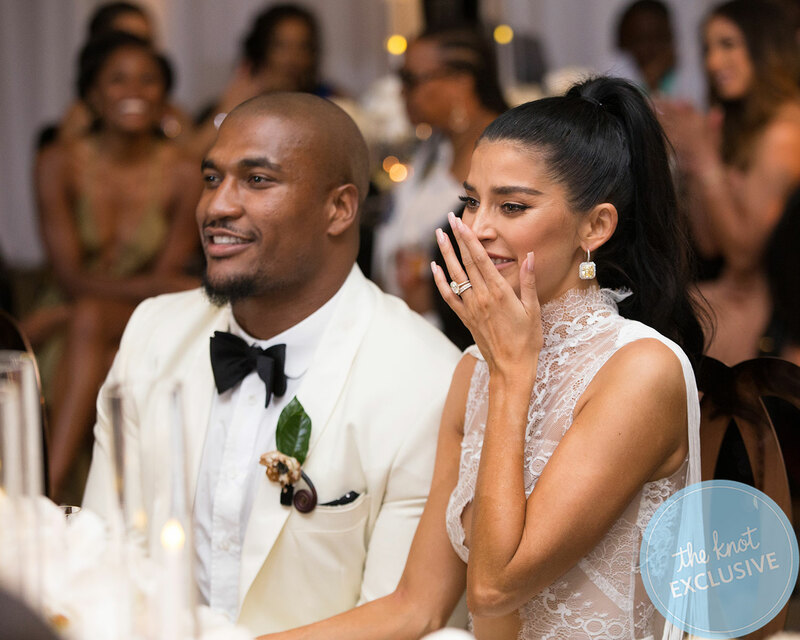 Mutual friends and birthdays were to thank the night NFL player Larry English met model Nicole Williams back in 2011. 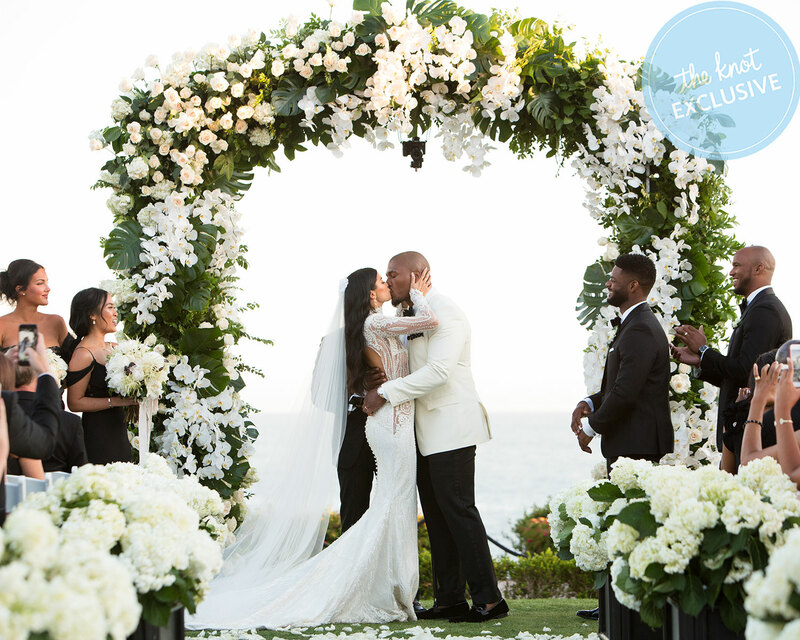 Though production cameras weren’t around back then, the couple’s relationship subsequently unfolded in the public eye on E!’s WAGS, including their May 2016 engagement in Thailand. 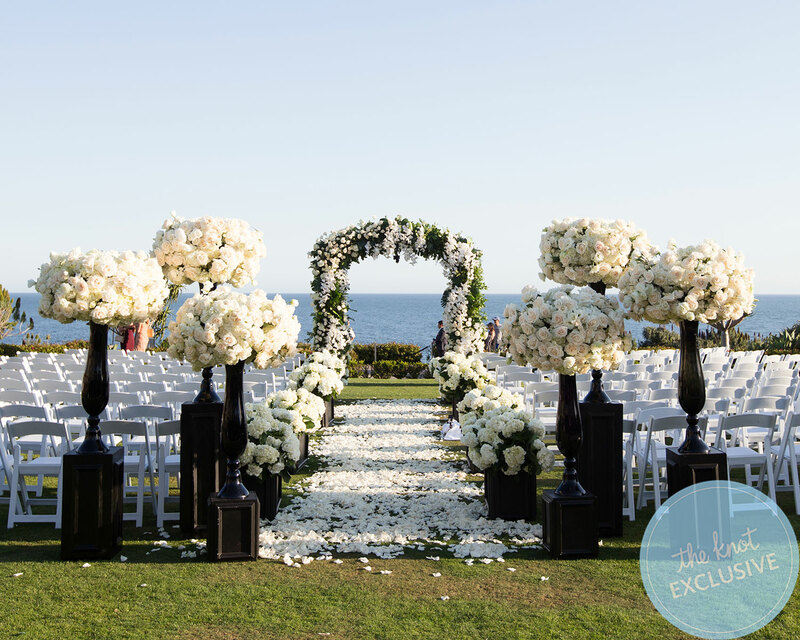 A year later, they married before 220 loved ones in Laguna Beach, California. 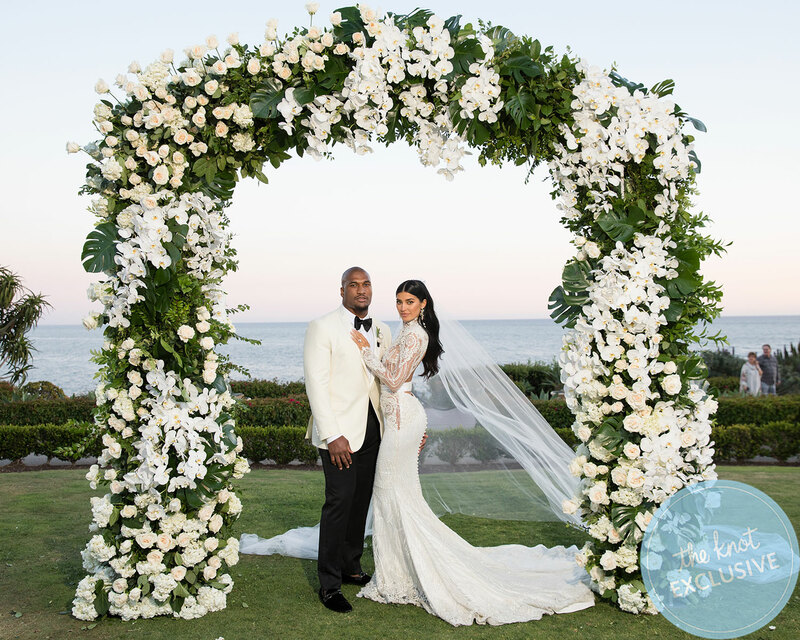 The bride wore a custom design by Michael Costello. The piece, comprised of lace and hand-beaded detail, included a high neck design and open back. 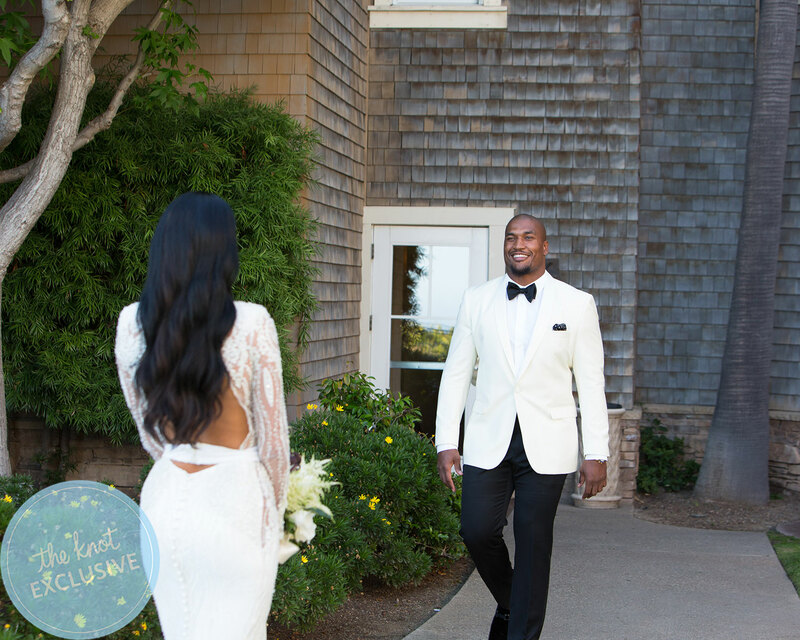 “It was my dream dress,” says the bride. 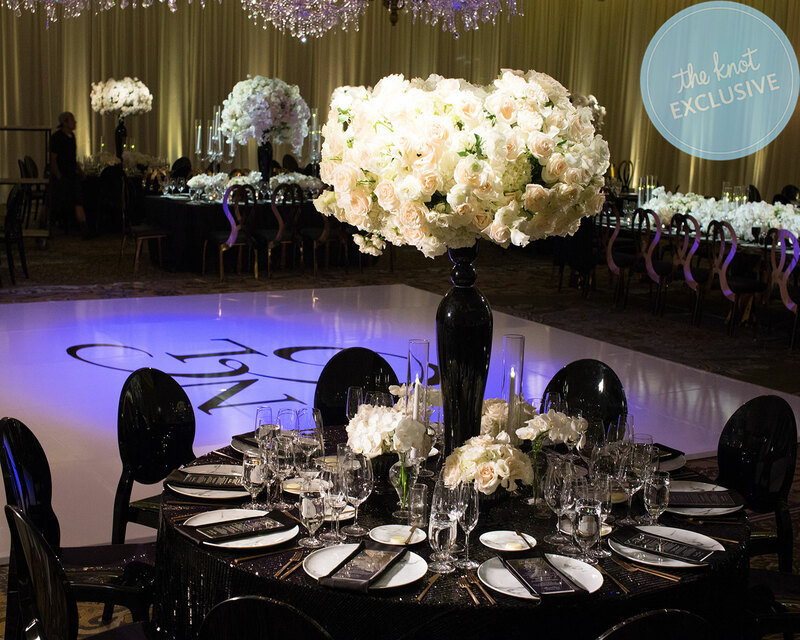 Los Angeles-based event planner Alissa Hussey of Alissa Hussey Productions was a huge help to the couple. 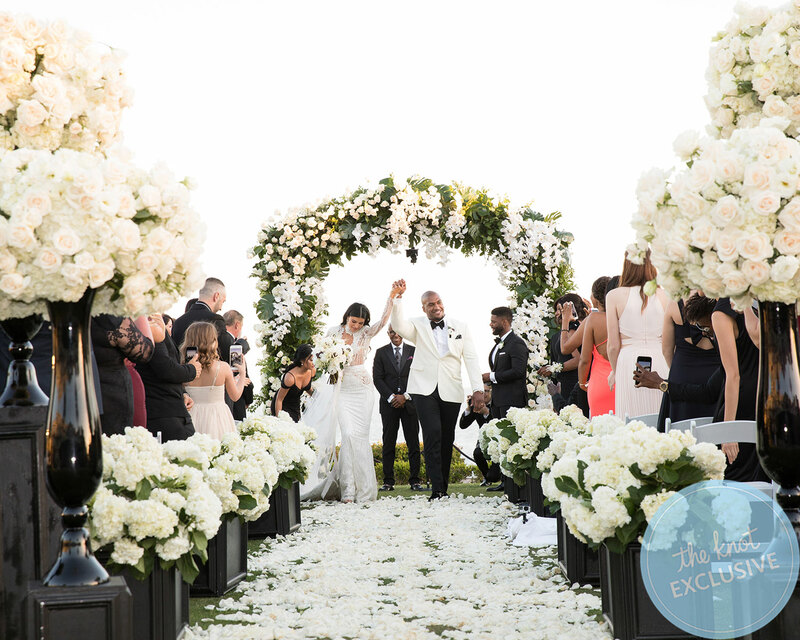 “Having a big wedding like we did was definitely hard to pull off alone, so Alissa really made it happen for us,” Williams says. 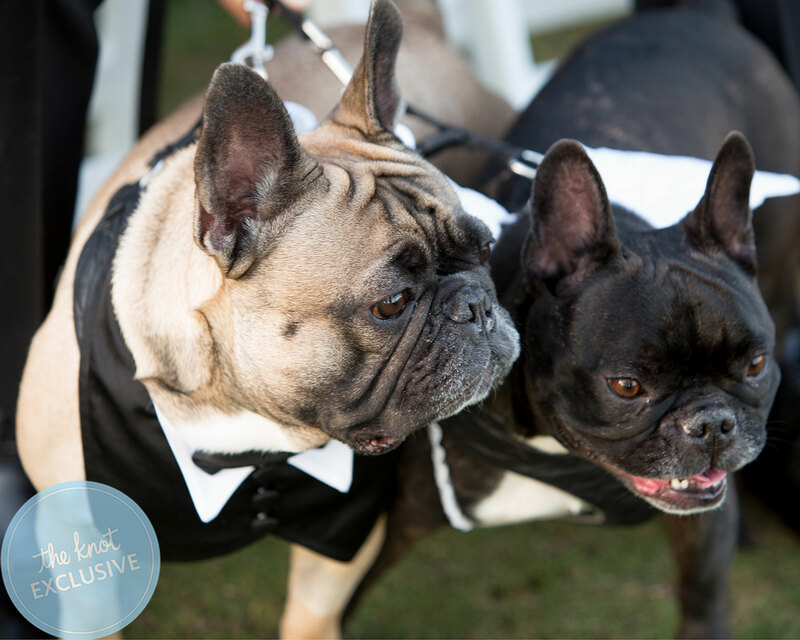 The pair opted for a white-and-black color reception. 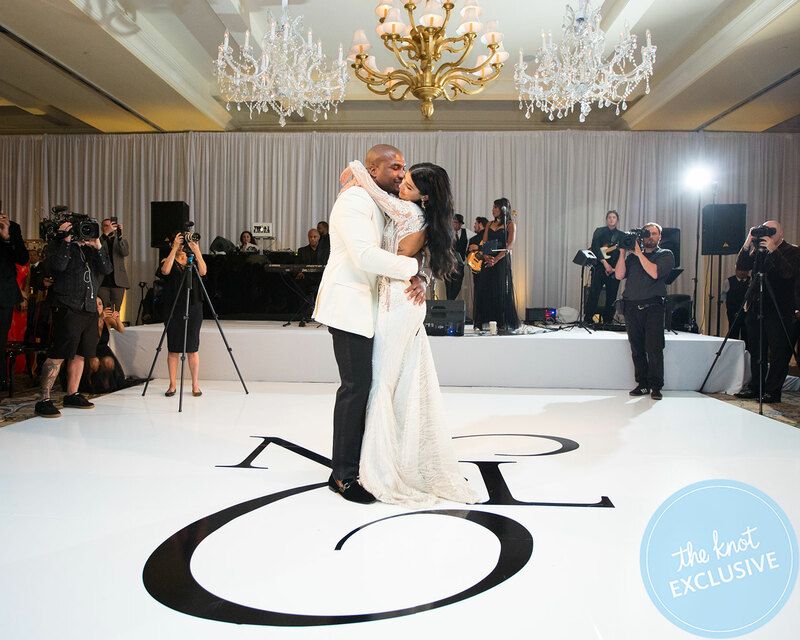 “We draped the ballroom in all white to create a crisp palette,” she says. 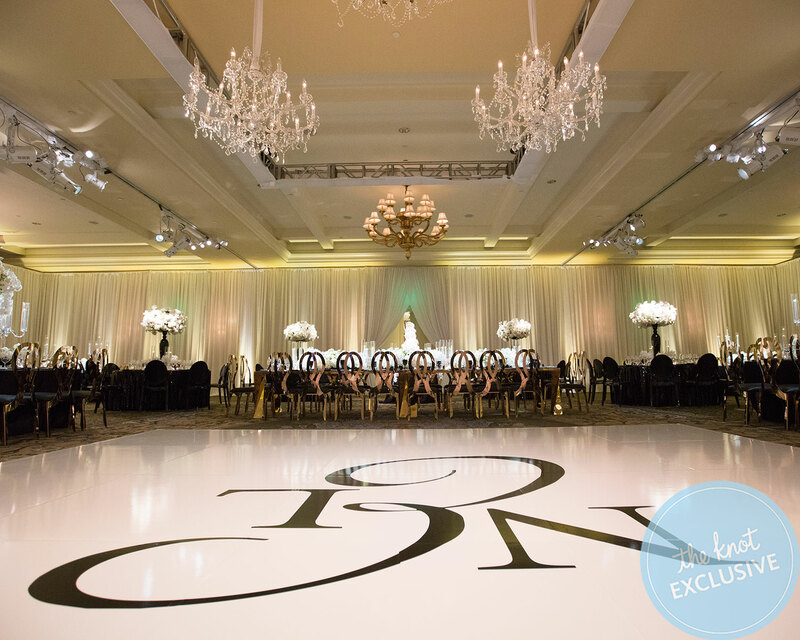 “We chose black, sparkly table linens and a huge white dance floor with our initials in black.” To offset the neutral colors, Hussey added elements of sparkle with giant chandeliers over the dance floor. 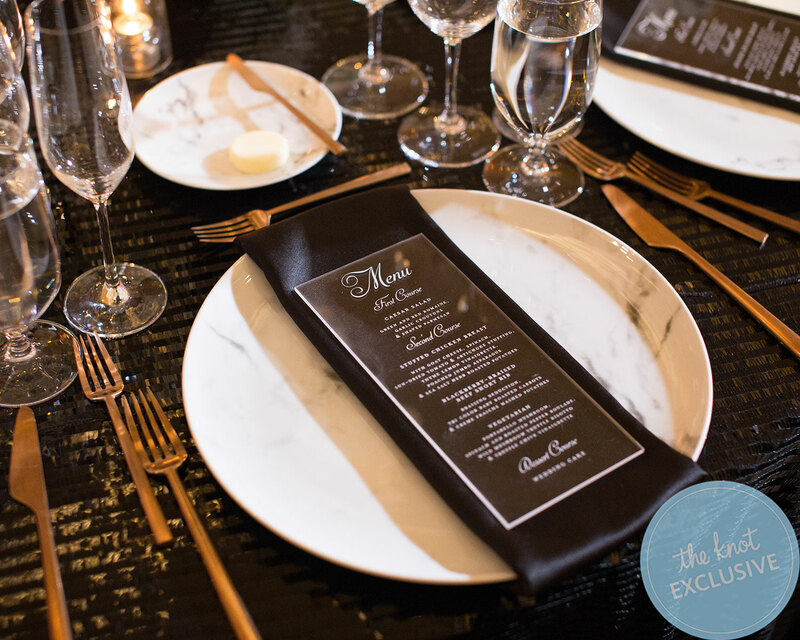 Adding to the luxe factor, the couple served meals on marble-canted chargers accented with rose-gold silverware. 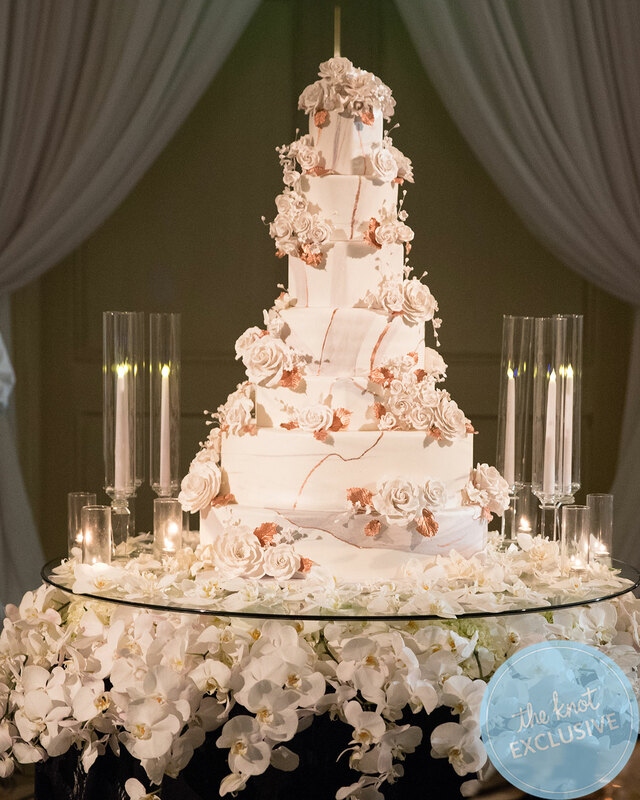 Belladonna Sweets customized a seven-tier cake in white and rose-gold marble for the pair. 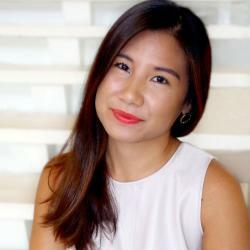 “I didn’t eat at all because I was so busy having fun,” says Williams. 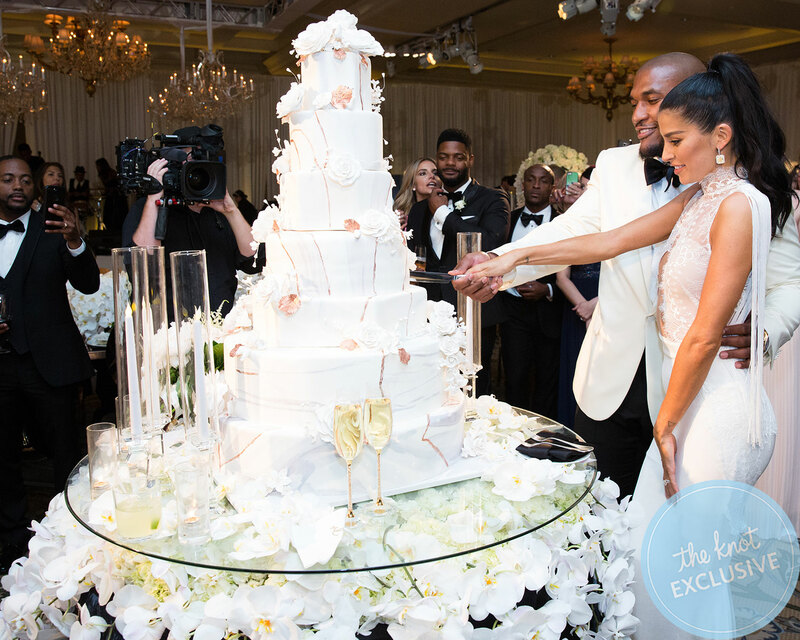 However, guests gave her the approval that it was truly delicious. 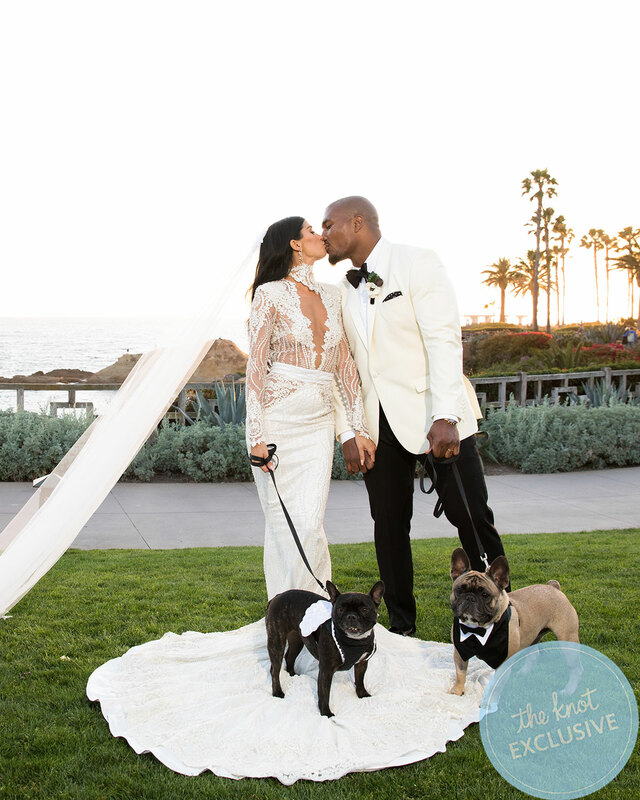 Be the first to comment on "Model Nicole Williams and NFL Player Larry English’s Luxe Laguna Beach Wedding Album"